Every child deserves the comfort offered by this dress from the house of Tiny Girl. 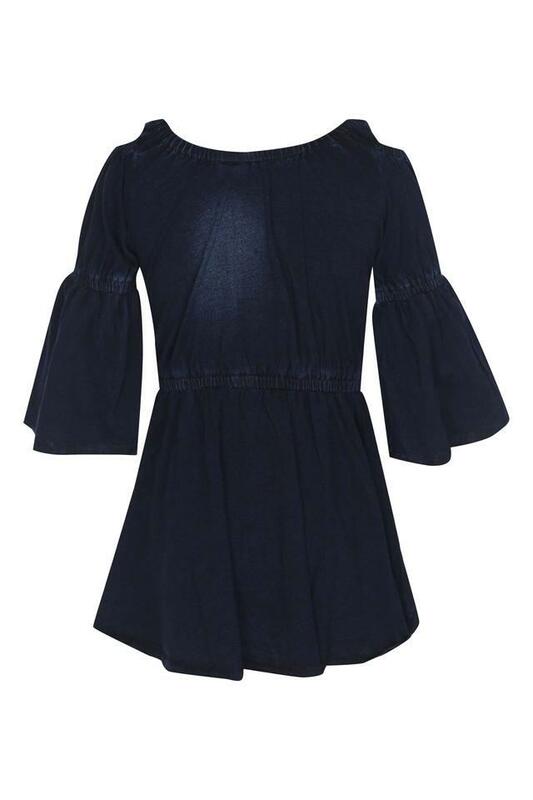 It comes with a flared hem that adds to its design. Also, the round neck along with the assorted pattern lends it a distinct look. 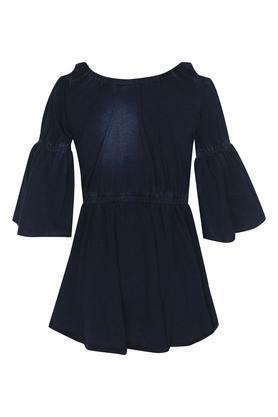 Moreover, the cold shoulder sleeves render it trendy. 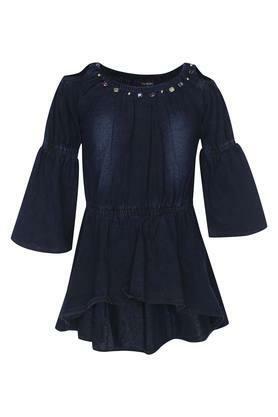 Rev up the clothing collection of your little daughter by adding this dress to her closet. 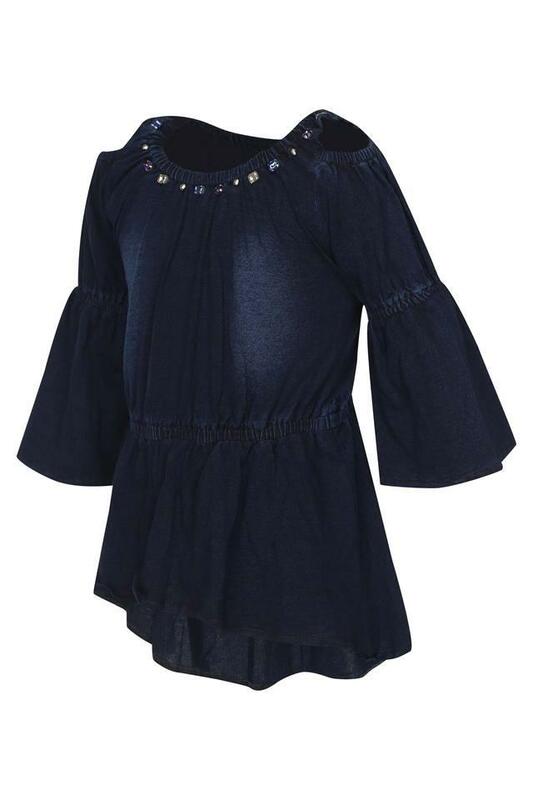 It flaunts a stone embellishment near the neckline that lends it a distinct appeal.